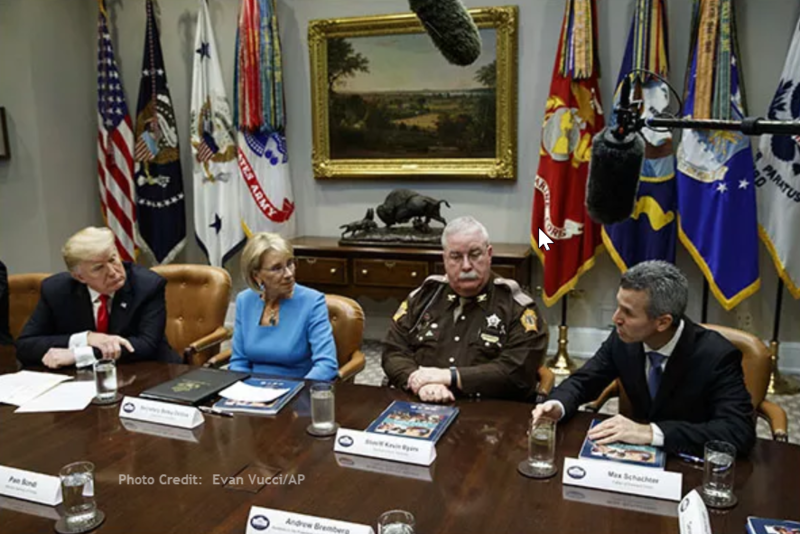 The Federal Commission on School Safety released its final report for improving school safety. The commission was launched by the Trump administration shortly after the Parkland, Fla. school shooting. The 180-page report is divided into three sections: prevention, protect and mitigate, and respond and recover. NPR: "DeVos To Rescind Obama-Era Guidance On School Discipline"
The Wall Street Journal: "Trump School-Safety Panel Targets Obama Policy on Race and Discipline"
AL.com (Alabama Media Group): "Trump’s School Safety Commission: Better Mental Health, Less Gun Access"